Your home is one of the largest investments you will ever make in your life. That’s why it’s important to keep it looking its best. One way of doing that is to increase curb appeal. 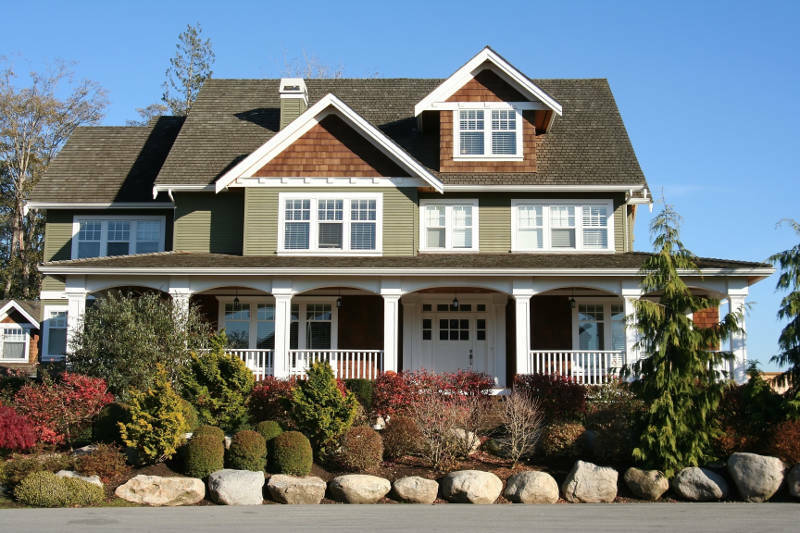 There are many ways to improve the curb appeal of your home. From doing exterior home remodeling to lawn care, we’ll give you 15 ways you can increase your home’s curb appeal. Your siding makes up the majority of your home’s surface area. That’s why it’s important to pick siding that best suits your needs. From vinyl siding to stucco to wood siding, you have many options. Insulated vinyl siding makes sense for homeowners – especially in the Midwest. Not only will the insulation protect you from the harsh weather outside, but it’ll look gorgeous while doing so. It’s also one of the best home improvement projects for your money. You also have the ability to customize the look of your home with insulated vinyl siding. There are many colors and styles to choose from and you can even mix and match. The sky is the limit. Your vinyl siding won’t be damaged by Milwaukee’s crazy weather. It’s extremely durable and can handle rain, snow, hail and wind. Plus the insulation makes the siding more shock resistant. It’ll last you decades! If you want your replacement siding to look and perform at its best, you’ll want to let professionals install it for you. Your front lawn is on display for everyone to see. You’re not going to increase curb appeal with dead grass and weeds. They say the grass is always greener on the other side but if you maintain your lawn properly, it will be on your side! Grass is a living thing and if it isn’t fed, it’ll die. If you want a beautiful, full lawn, you’ll need to fertilize it. The video below will teach you how to feed your lawn. If you want to get really creative with your lawn, you can add strips. You typically see strip patterns on golf courses and baseball fields. Toro has a lawn stripping system that attaches to the back of your lawn mower. Check it out! Your garage door is the largest entryway to your home. Anyone who’s passing by your house will see it. That’s why it’s important that your garage door looks its best. If you want to increase curb appeal, a steel garage door is the way to go. Steel garage doors are large, beautiful, energy efficient doors. They’re the perfect combination of beauty and performance. Steel garage doors also come with many panel styles and window options. You can customize your garage door anyway you’d like. If you want a more traditional style, carriage style garage doors are the way to go. They’ll give your home a warm inviting look. They also have many different panel and window options, as well as decorative hardware. So you’re sure to find the perfect garage door. Much like replacement siding, you’ll want a professional to install your replacement garage door. Not only is it dangerous, but one wrong move can negate any of the beauty. You’ll save time, money and energy by hiring a professional to install your garage door. Plus, if your garage door is installed properly, it can recoup 83.7% of your investment when you sell your house. Your home has many windows. You may take them for granted but if they’re old and worn down, they’ll take away from the look of your home. Getting replacement windows is sure to improve your home’s curb appeal. 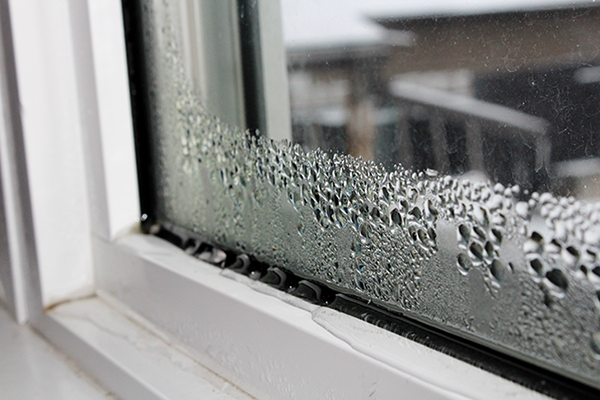 Why should you get replacement windows? You probably think your old windows look fine. There’s a lot that could go wrong over time though. For example, wood expands and contrasts, so there may be gaps. Replacement windows will give your home a fresh need look. You can also get creative with your windows. There are many style options available. 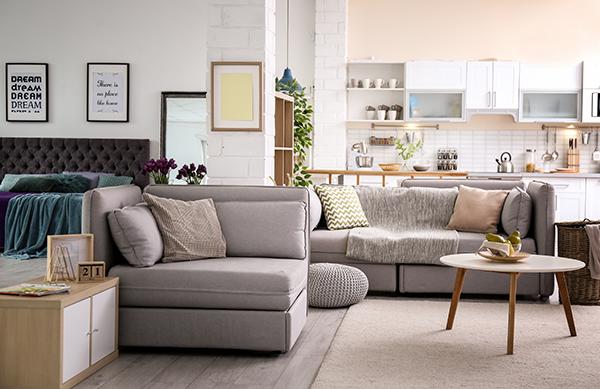 You can use more unique styles to change how your home looks. Sliding and garden windows are great in a kitchen while awning windows are perfect for bedrooms, bathrooms and basements. Mix it up a little bit! When getting replacement windows, you have many styles to choose from and it could become overwhelming. 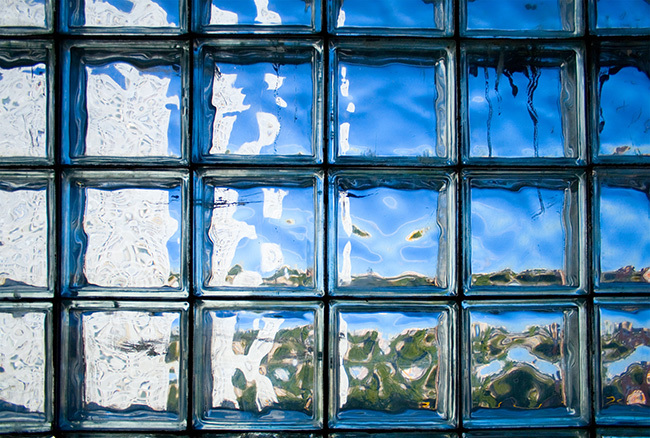 We’ll help you out by going over the styles of windows available and the benefits of each one. Not everyone has a front porch but if you do, you’ll need to take good care of it. 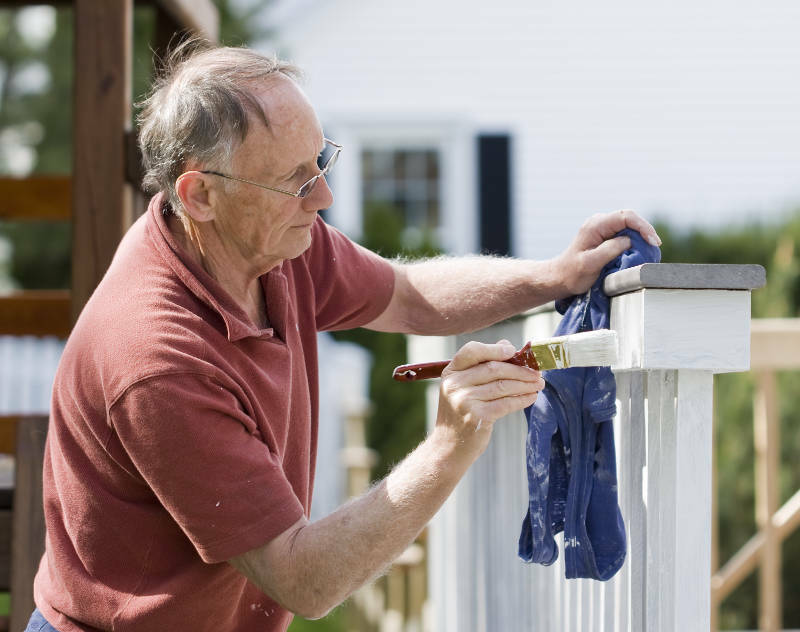 Make sure the paint isn’t chipping and, if your porch is wood, it should be re-stained from time to time. Also, furniture adds a touch of personal flair to your front porch. It makes it look like home. Benches and chairs are great and can be found at stores like Pier One or American Sale. If you have a fence (in the front or the back), it should be properly maintained as well. Otherwise it can detract from the look of your home. A wood fence needs to be painted and stained every couple of years. You should also make sure its free of any rotting or warping wood. Metal fences should be painted as well and rust-free. The worst case scenario would be removing or replacing your fence. If you have a dog but don’t want a physical fence, you can always go with an invisible fence. They prevent your dog from leaving via an electronic perimeter around your home. 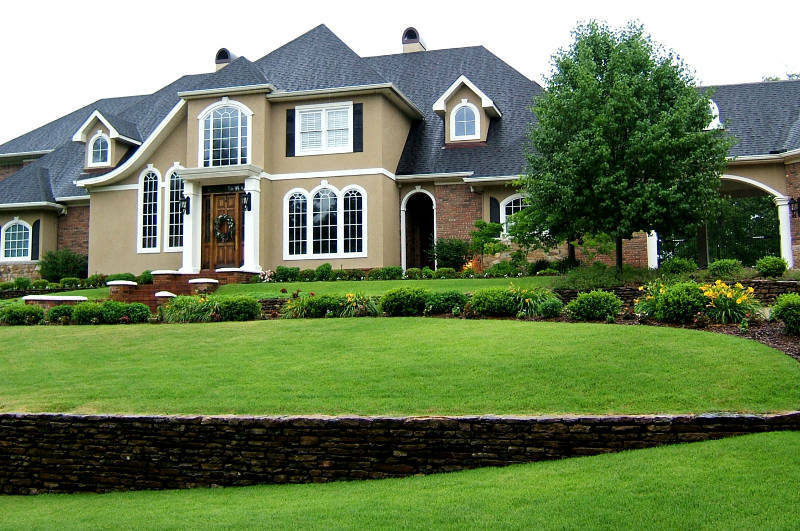 It will also make your yard look larger which will surely increase curb appeal. It may seem small, but changing the look of your address plaque can make a major difference in your home’s curb appeal. Whether it’s large, eye-catching numbers, unique colors or a beautiful wood plaque, your address should leap off of your house and get someone’s attention. Much like your home’s siding and garage door, your front door is on display for the world to see. You don’t want an old door to take away from your home’s overall look. A beautiful new entry door is the perfect first impression for guests and neighbors. You can also get a window insert to add a little depth to your new front door. They’ll also allow more natural light inside your home. You also want a front door that matches your home’s exterior well. 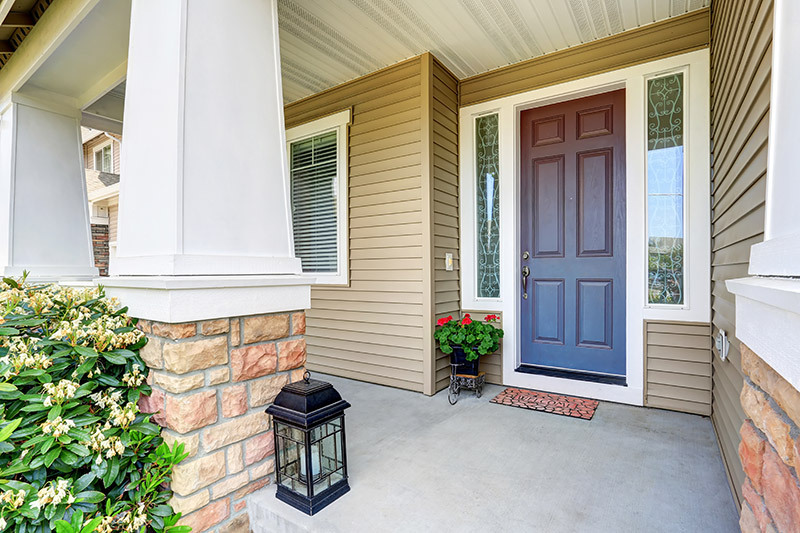 With so many customization options, there’s a perfect front door for your home out there. Not to mention, a new front door adds value to your home. So much so that you can recoup 96.6% of your investment when you sell your home. With Milwaukee’s erratic weather, you want to keep your entry door protected from the elements. The best way to do this is with a storm door. Storm doors are installed on the outside of your entry door and shield it from rain, snow, hail and heavy winds. With many color and style options available, you’re sure to find the perfect storm door for your home. You’re spending all of this time getting replacement doors and painting your porch, you obviously want people to see it. Without proper light, that may not happen. Installing brighter light bulbs on your front porch will show off your beautiful work. You can also get different colored lights to give everything a unique touch. Compact fluorescent lights, or CFL for short, are great light bulbs to use. They’re energy efficient and emit a brighter light. In fact, CFL light bulbs use 25% – 80% less energy than a traditional incandescent bulb. What more could you possibly want from your light bulb? Also, according to AOL, brighter outdoor lights are one of the 13 things home buyers want in a new home. Do you have large cracks in your driveway? Is your asphalt all torn up? Did you know your damaged driveway is hurting your home’s curb appeal? It’s true! If you want to increase curb appeal, your best bet is to repair that driveway. Make sure the cement is smooth and there are no cracks. Everyone loves flowers – they’re colorful and beautiful! Don’t let your home be without such color and beauty. Planting flowers will make the front of your home pop. No type or color of flower is off limits. Choose whatever flowers you like and they will flourish in the Milwaukee climate. They’re sure to improve the curb appeal of your home. Don’t forget the mailbox in front of your home. Believe it or not, a mailbox makeover can increase curb appeal too. There are many different ways you can change your mailbox. You can make it brick, shape it like something else or attach it to a light pole. Plus, they can be any color you like. There’s no limit to what you can do with your mailbox. The first thing most people ask about when buying a home is the condition of the roof. A bad roof allows water to leak in, drafts to enter and is down right ugly. Make sure your roof isn’t damaged or worn down. Whether you’re repairing a few shingles or the entire thing, it’ll make a world of difference. However, this isn’t a do-it-yourself job. Let a professional repair your roof. BONUS: Don’t Get Too Wild! We like you, so we wanted to give you one last piece of advice: don’t go overboard. It may be hard to stop yourself. You’re trying really hard to increase curb appeal, but getting wild and crazy isn’t the way to do it. 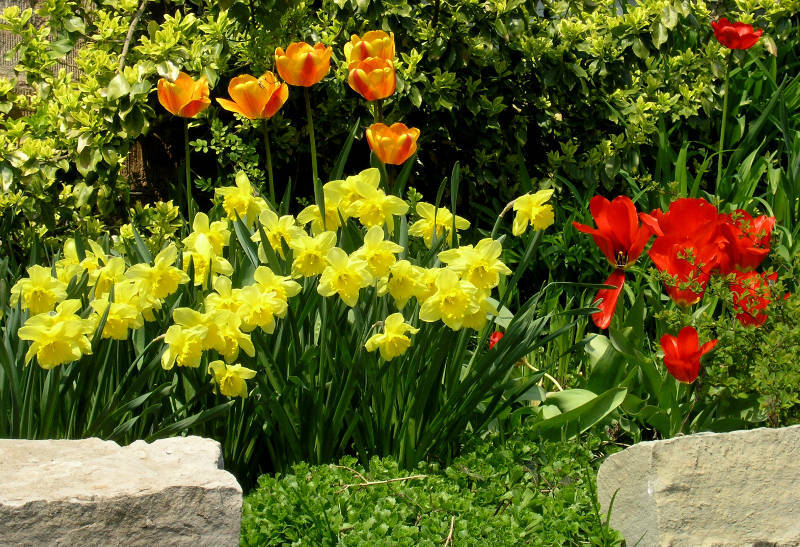 Even though the look of your home is subjective, you may want to avoid using clashing colors or cluttering your front yard with flowers and plants. When it doubt, keep it simple. If you want to improve your home’s curb appeal with replacement windows, siding, doors or garage doors, get your free quote from Feldco right now.